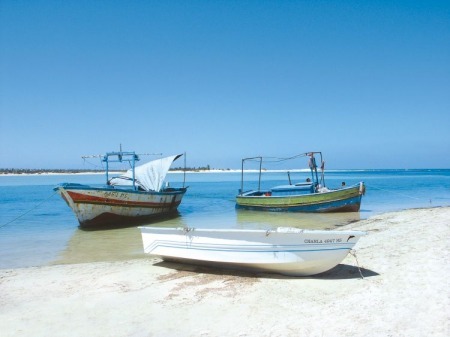 The first Jews came to Tunisia (then known as the roman province of Africa) following the first Diaspora in 586 BC. Hence, Tunisia can claim to have had a Jewish community since Roman times. Most of the Jews left the country in the 1960’s, mainly for Israel and France, leaving around 2,000 Jewish Tunisians today. Many Jewish landmark temples and sites remain today and can be visited all year round. 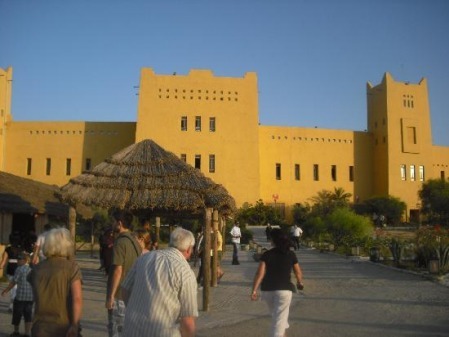 This tour will take you to monuments that are witness to more than 2,500 years of Jewish presence and tradition from Djerba to Tunis and La Goulette (where an important Jewish community remains), Sousse, Sfax, and Le Kef. A subtle combination of visits to some of the country’s numerous synagogues and other major World Heritage sites, from Carthage to the splendid roman site of Dougga..
After your arrival, you will be met at the airport and transferred to your hotel in Tunis downtown. An orientation meeting will be arranged at the hotel. Dinner and overnight at the Boutique hotel Tunisia Palace 4*. After breakfast, we depart to visit the Bardo museum. 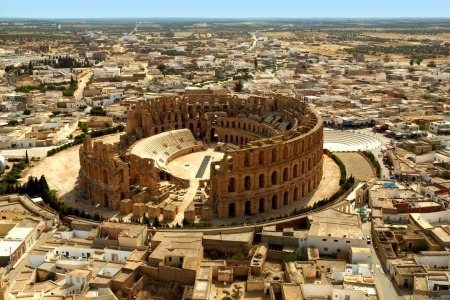 This will help set the stage in learning about Tunisia’s history during Roman times. 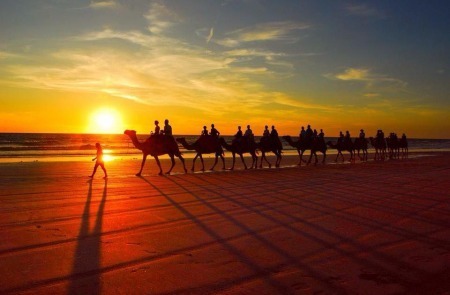 We continue then to the sea side of Tunis where we will visit the legendary city of Carthage, the most famous of the ancient sites in Tunisia, but one in which historians find traces of Jewish presence. 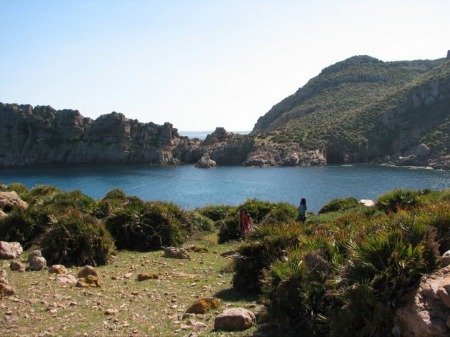 A visit will also be made to the nearby U.S. World War II cemetery, where you will have a brief lecture about the battles fought in Tunisia during the second world war. 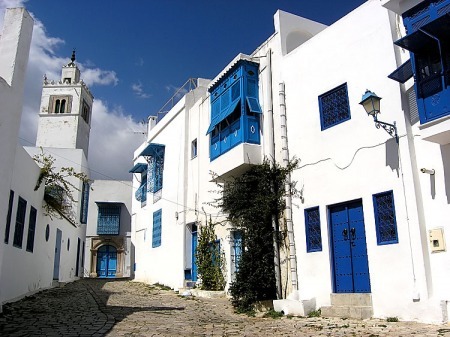 We continue to the nearby picturesque village of Sidi Bou Said, whose architecture was inspired by its Andalusian settlers. Return to our hotel. Dinner this evening will be at a restaurant specialized in Tunisian Jewish style cuisine. Return to Tunisia Palace hotel and overnight. This morning departure from Tunis to the northwest, taking scenic country roads through this region of Tunisia that was not only the breadbasket for the Roman Empire, but also home to small Jewish populations until the early 1980′s. 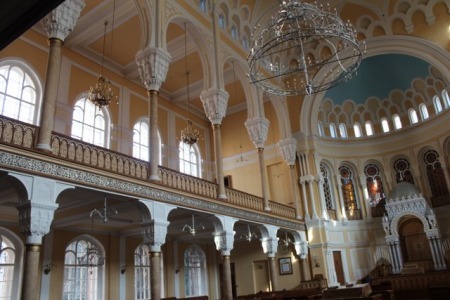 Upon arrival in El Kef (known under the French as “Le Kef”), you will get to see some of the historic aspects of El Kef, including a visit to a restored synagogue where you will hear about the former Jewish community of the town. 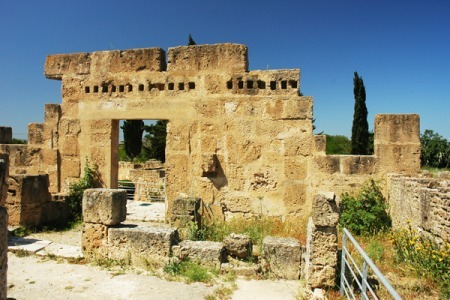 From El Kef, we will drive to Dougga. 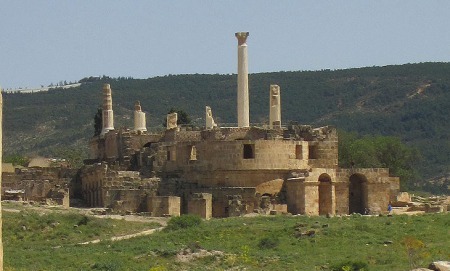 Dougga is Tunisia’s largest Roman site. Covering some sixty acres, Dougga was known as the city of temples and its existence is thought to date back to the 4th century B.C. Following our visit to Dougga, we’ll head back toward Tunis, passing through Testour, which also had a small Jewish community. Late afternoon arrival in Tunis. The remainder of the afternoon and evening is at your leisure. Dinner tonight is independent. We will provide suggestions on dining options and how to get to them. Overnight in Tunis. Today’s touring will be within Tunis, starting with a visit to the Jewish cemetery in Borj Ciel, providing some background on the Tunis Jewish community. We then visit Le Grand Synagogue in Tunis with a additional lecture on the synagogue and the local community. 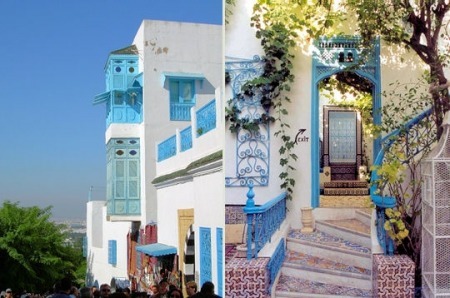 From the synagogue, we go to the historic heart of Tunis, the medina. Following a walking tour which will point out the historical and architectural aspects, you will have free time to wander around shops and alleyways within the souk. In the evening Shabbat dinner with members of the Tunis Jewish community. Ovenight in Tunis. 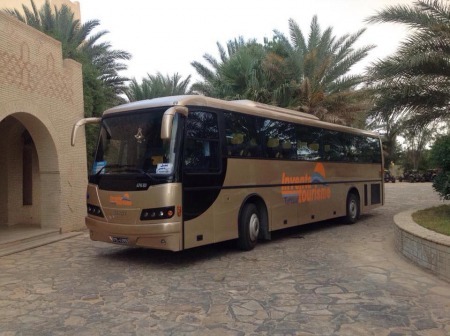 We depart the hotel to the airport for a flight to the island of Djerba. In the Jewish calendar, today is the 18th of Iyar, the beginning of the Jewish festival of Lag B’Omer. While the festival is not very celebrated in the West, among the Jews of North Africa, particularly Tunisia, this is a festive day celebrating the spring and a time to pay homage to prominent Jewish scholars in North African Jewish history. This afternoon you will mix with the Jerban Jews who participate in the day by joining in the procession of the community’s menara to the Ghriba synagogue, joined by literally thousands of Jews visiting the island from Israel, France and elsewhere. This is a day unlike other days throughout the year in Jerba, with pilgrims and indigenous Jerbans, both Jew and non-Jew participating. 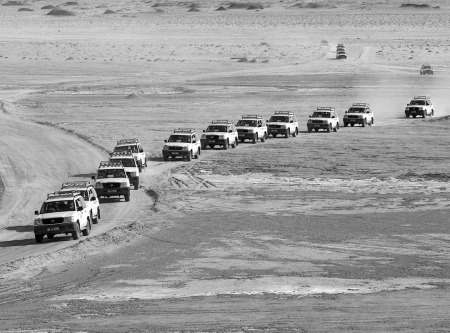 Unlike other activities throughout the year in Jerba, Jewish men and women both, participate in the frenzy of the pilgrimage. We will be able to witness and participate in the activities taking place in conjunction with the festival. The atmosphere around the Ghriba synagogue in the late afternoon becomes very carnival like. Speeches, song, processions and lots of festive activity will be taking place. Dinner will be at your hotel later in the evening. Overnight in Hotel Radisson Djerba. This morning we start early with a visit to a synagogue in Sfax before driving northwest to El Jem to see the Roman coliseum, the largest of its kind in North Africa. El Jem also has a wonderful museum of mosaics.From El Jem, we drive to Kairouan. Kairouan is today, a rather provincial town. 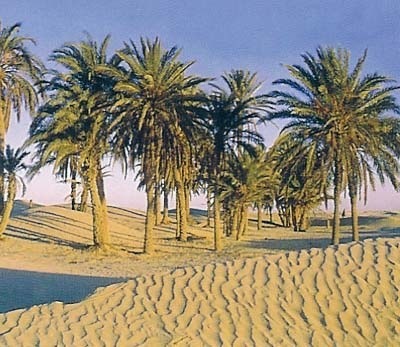 The city was founded and subsequently developed during early Islamic times, with Kairouan’s Great Mosque, dating from -the 7th century, reputed to be the oldest mosque in Africa. During medieval times, it also had a Jewish community whose scholars nearly rivaled those of Babylonia. 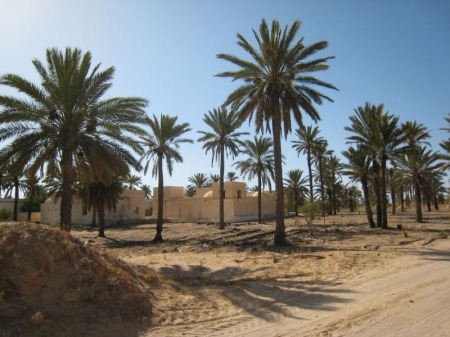 Kairouan’s location along the caravan routes also provided a base for a flourishing crafts industry. The region still provides the base for much of Tunisia’s craft industry, particularly rugs and textiles.From Kairouan, we return to Tunis, arriving late in the day. Your hotel is in the sea side. This evening’s farewell dinner will be in a wonderful setting. Dinner and overnight in Tunis at hotel El Mouradi Gammarth 5*.